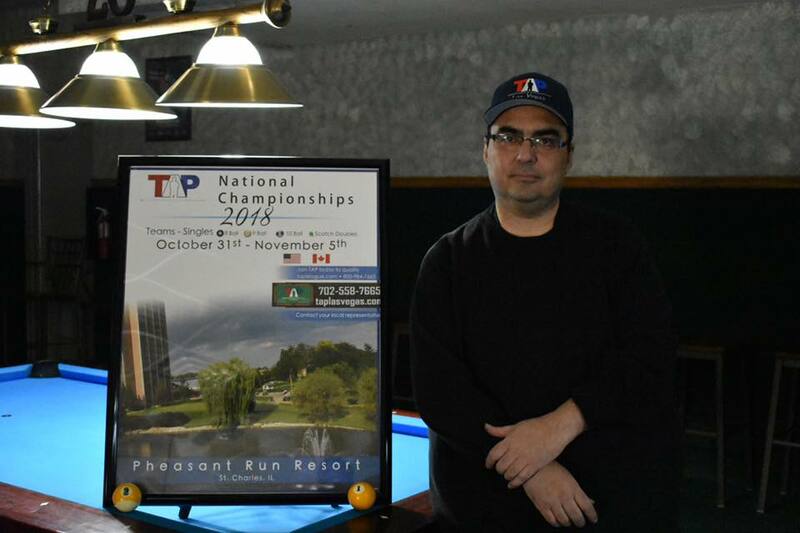 Final Destination.... Pheasant Run near Chicago! 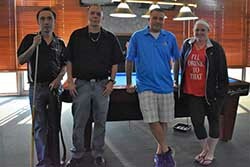 Congratulations Knuckleheads (left) for their second 8-Ball Vegas Masters State Championship! 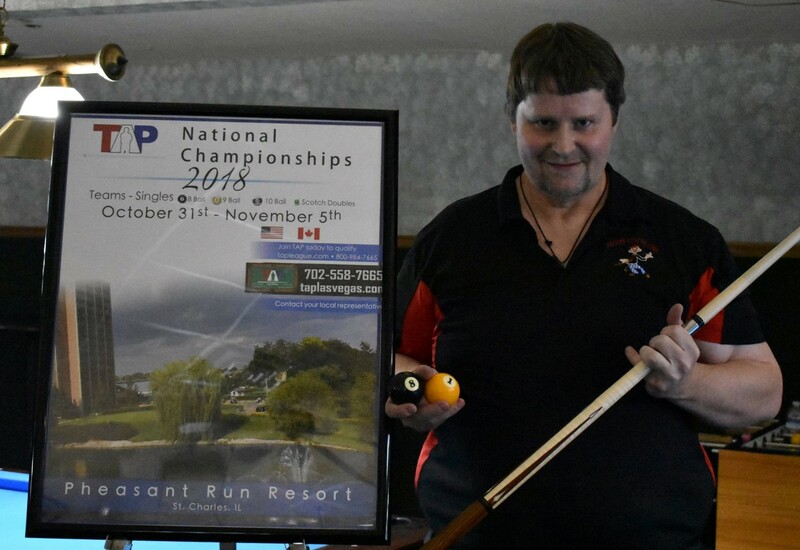 Congratulations also to Shepherds Flock (below left) and Johnny Vegas Bunch (not pictured yet) in 2nd and 3rd respectively. These teams will all have the opportunity to advance and compete at TAP Nationals, flying into Chicago and competing in St. Charles! 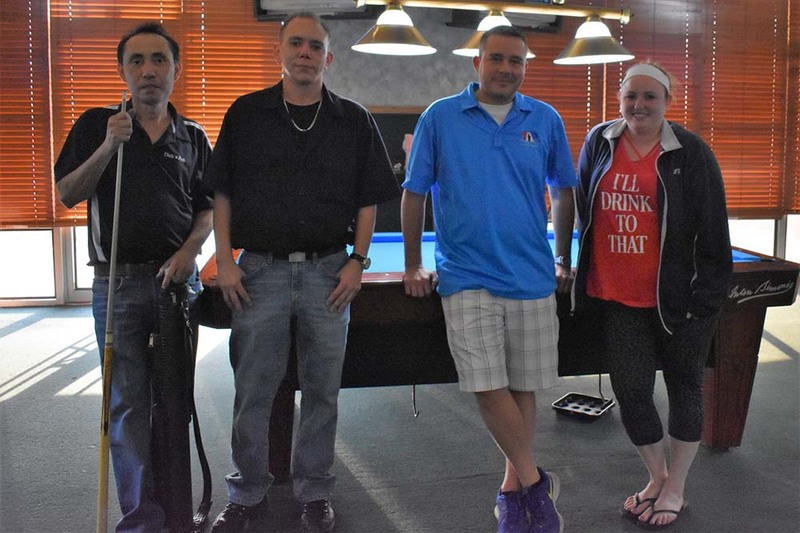 Congratulations to Break My Balls (right) for winning 1st Place and to Costa Nostra for winning 2nd Place in the Best of the Rest winning a total of $1,200 cash! More details to come later. Photo Album. 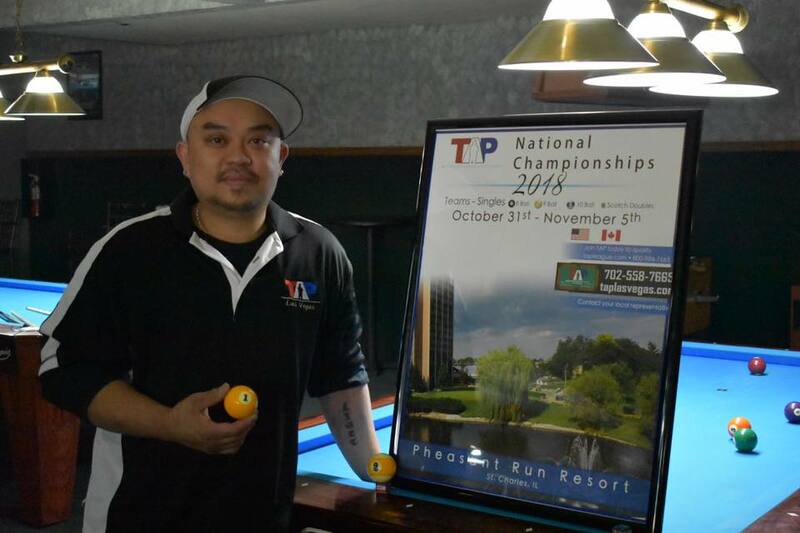 Our State Champions advance to TAP Nationals to compete in 8-ball and 9-ball events against players from all over the United States and Canada! 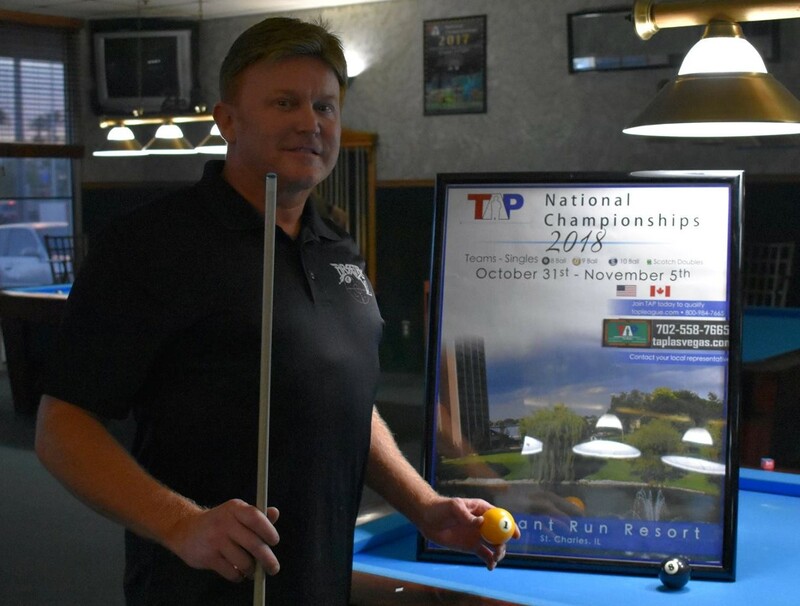 TAP Las Vegas has awarded nearly $200,000 in the Vegas Masters events and taken over 200 local players to great destinations to include Myrtle Beach, Orlando, Chicago, Nashville, Dallas, Philadelphia and even given players a Vegas Vacation! 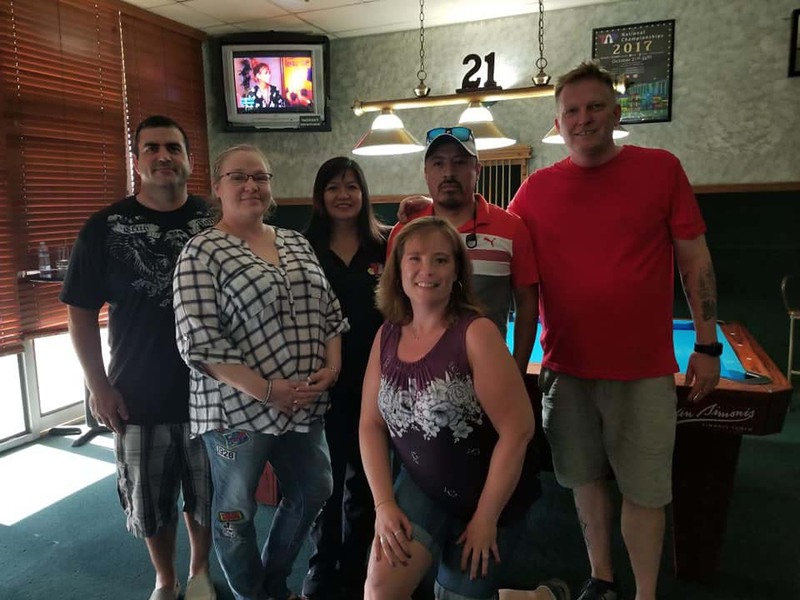 We bring the best of the best together from all over Vegas to compete in singles and team 8-ball and 9-ball tournaments to advance and win trips to exciting destinations and compete at TAP Nationals! 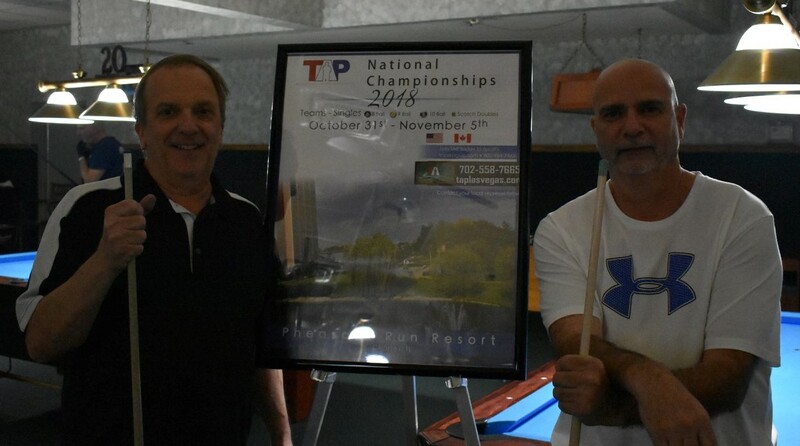 This year, we will be taking our players to Chicago where they will compete in St. Charles in the 2018 TAP National tournaments against players from all over the United States and Canada! 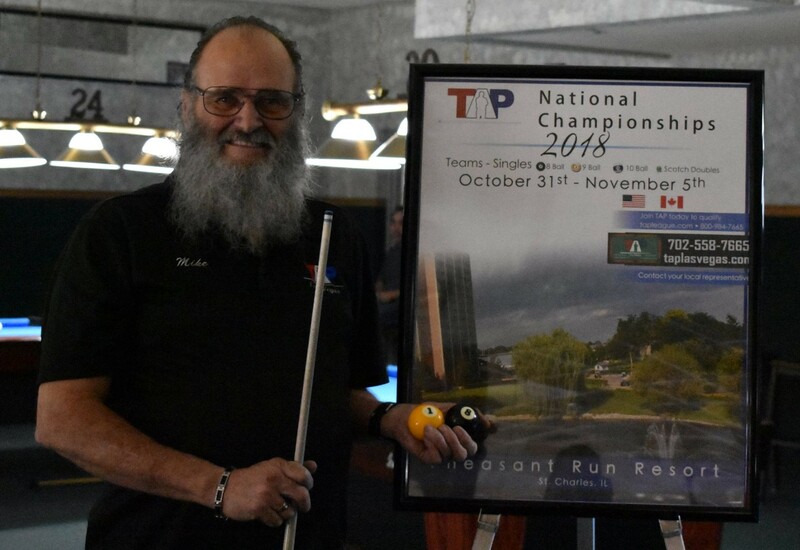 Click here to learn more in the Vegas Masters Road to Nationals! 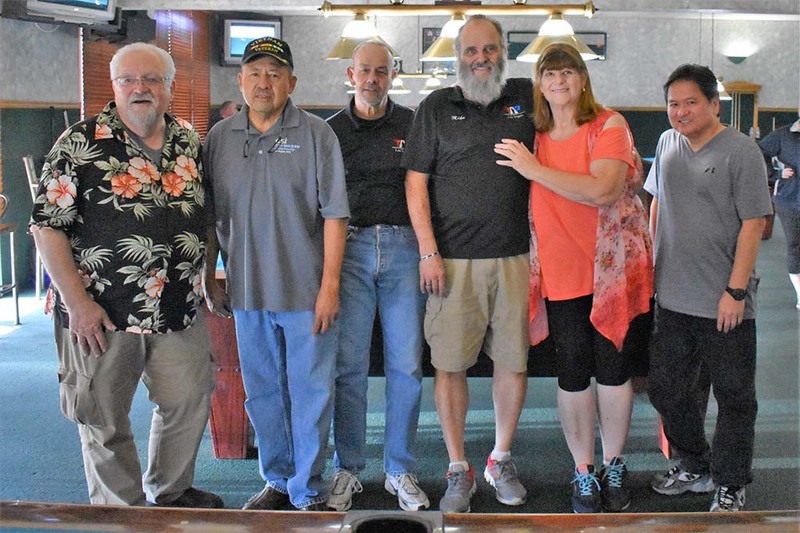 Congratulations to our 2018 Vegas Masters Singles State Champions! Click here for more team event information! 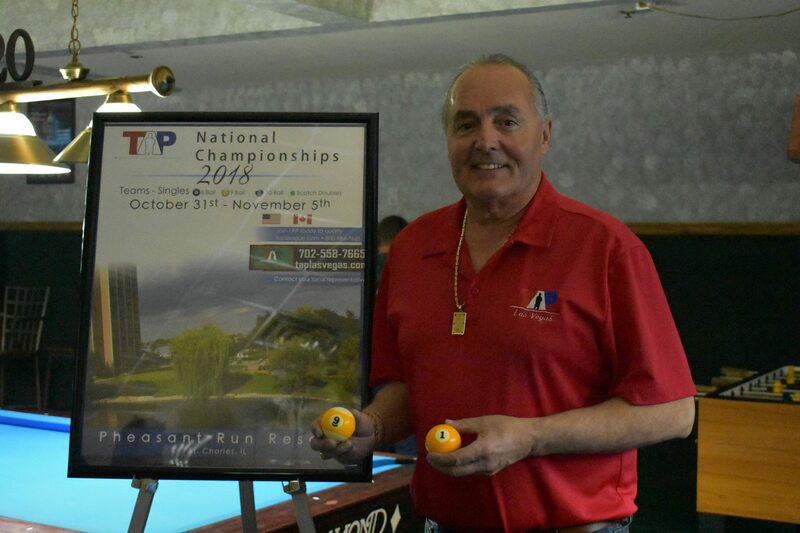 Our State Champions will be flying to Chicago, advancing to compete at TAP Nationals on October 31 through November 5 at the Pheasant Run Resort in St. Charles, Illinois! 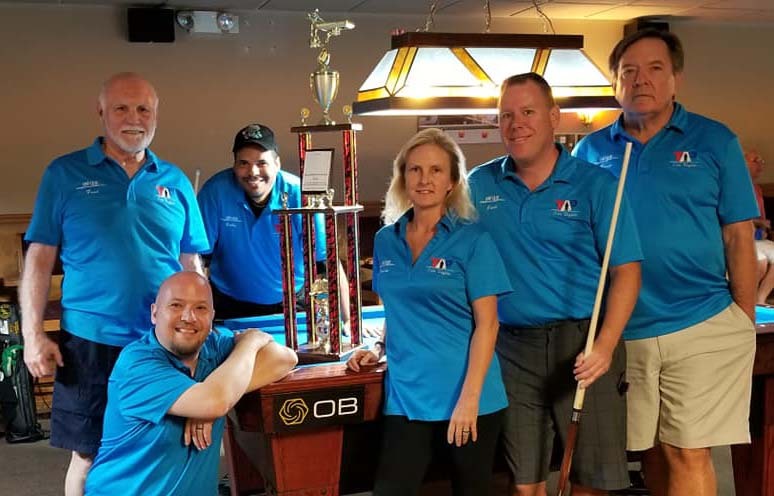 Top 8-ball and 9-ball teams will be joining these players by winning a trip to Chicago in either the 8-Ball or 9-Ball Vegas Masters State Championship Tournaments! 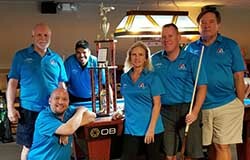 Congratulations On Cue, our 2018 Vegas Masters 9-Ball State Champions! They along with L8 Shooters who placed second, will have the opportunity to compete at TAP Nationals! 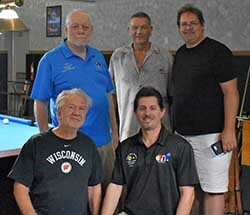 On Cue players from left to right Fred, Tommy (front), Bobby (back), Christy, Jack and Bruce. 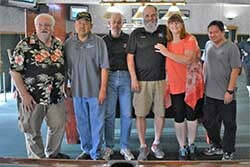 L8 Shooters from left to right: Doug, Janice, Trini, Omar, Trick Sixty and Lynn in front, Robert Schlegel not pictured.